When you think of the Royal Guards, I wouldn’t blame you if the first thing that springs to mind is their strict persona on a day-to-day basis. After all, it is their job to guard the official royal residences – aka Buckingham Palace – so you’d better believe that they’re taking their jobs pretty darn seriously. But what if I told you that they took a slight break from their guarding duties recently when they played the Bohemian Rhapsody for everyone to see outside the palace? Yep, you heard me right. The Queen’s Guard captivated tourists as they played the hit song in the courtyard outside Buckingham Palace. The song was performed yesterday (January 7) by the Band of the Grenadier Guards, just hours after the Queen biopic, Bohemian Rhapsody, won Best Picture at the Golden Globes. Fans of the band couldn’t believe it when the familiar tune came blasting out (okay, not quite) of the palace gates. Which, y’know, is understandable considering the guards usually play ceremonial music and not famous hit songs. THE ROYAL GUARDS PLAYING BOH RHAP WHEN I WAS AT BUCKINGHAM PALACE TODAY IS IT A SIGN ? 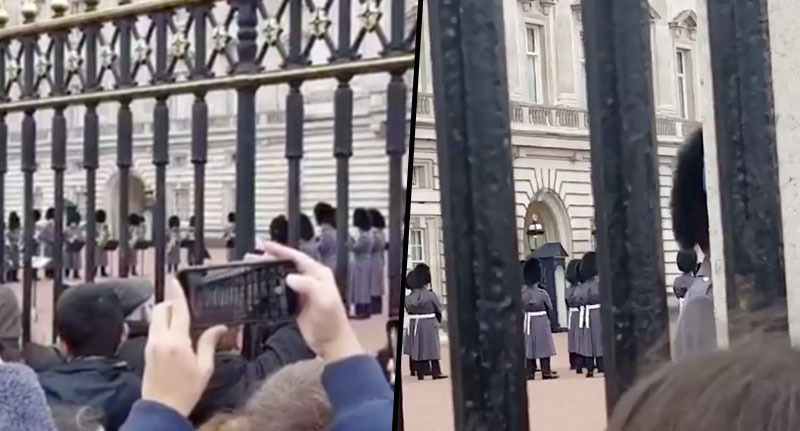 In all fairness, it does sound quite impressive and people were clearly captivated, as they can be seen in the videos crowded around the gates trying to catch a better glimpse of the Royal Guards. Many hold up their phones to film the moment, while others simply enjoy the unexpected moment and watch in earnest. The surprise performance came just hours after Bohemian Rhapsody was awarded best picture at the Golden Globes. The musical biopic was released in October last year, and while it wasn’t immediately met with a good reception from critics, fans clearly loved it. 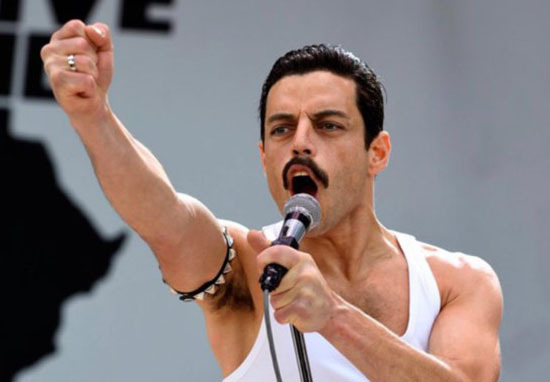 Rami Malek starred as Freddie Mercury and brought Queen’s 1985 Live Aid performance back to life for fans of the band. And according to Box Office Mojo, the film has raked in a massive $743,074,756 worldwide to date. It’s the highest-grossing music biopic of all time, and with viewings still being held that number is set to keep rising. The Golden Globe Awards took place on Sunday (January 6), and saw Bohemian Rhapsody come out as the surprise winner of two major prizes: Best Picture, which the film beat A Star Is Born for, and Best Actor, which Rami Malek won for his portrayal of Mercury. And it obviously isn’t just us mere mortals who appreciated the film, as the Royal Guards have proved they enjoy a bit of Queen too. Who can blame them, really?